Minister of Social Affairs and Health Pirkko Mattila. 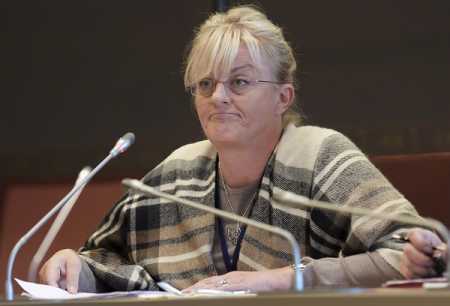 File Photo Lehtikuva. About 2,500 people die of different injuries each year in Finland and approximately 800 commit suicide. One third of the deaths of working-aged people in Finland are the result of accidents, alcohol-related reasons or suicide, according to a press release of Ministry of Social Affairs and Health. Every year, tens of millions of people suffer injuries across the world in different types of accidents and incidences of violence. These injuries often require hospital care, and many of them lead to lifelong disabilities. Additionally, over five million people lose their lives as a result of different injuries each year. More than 1,000 of the field's experts and researchers from over 100 countries will address the necessary steps to reduce the number of injuries worldwide in a four-day International Safety Conference-2016 that began in Tampere on Sunday. The event will deal with the prevention of suicides, incidents and different types of injuries, including home and recreation as well as occupational and traffic accidents. The theme of the international conference "From research to practice" encourages the use of research data to help in the implementation of practical solutions that will increase safety and reduce injuries. Minister of Social Affairs and Health Pirkko Mattila inaugurated the conference. During the conference, the Minister is also scheduled to meet WHO Europe Regional Director Zsuzsanna Jakab. “Injuries, violence and suicides can be prevented with correctly targeted measures. For example, traffic deaths have fallen in Finland to under one fourth of what they were in the 1970s. The number of suicides, in turn, has dropped to half of what it was in 1990. National projects and prevention programmes are effective, and different action plans can help us save lives,” Mattila said. A declaration stating the importance of preventing injuries and violence from the viewpoint of sustainable development will be issued during the Tampere conference. Finland's National Institute for Health and Welfare (THL) is the principal organizer of the conference working in collaboration with the World Health Organization (WHO).